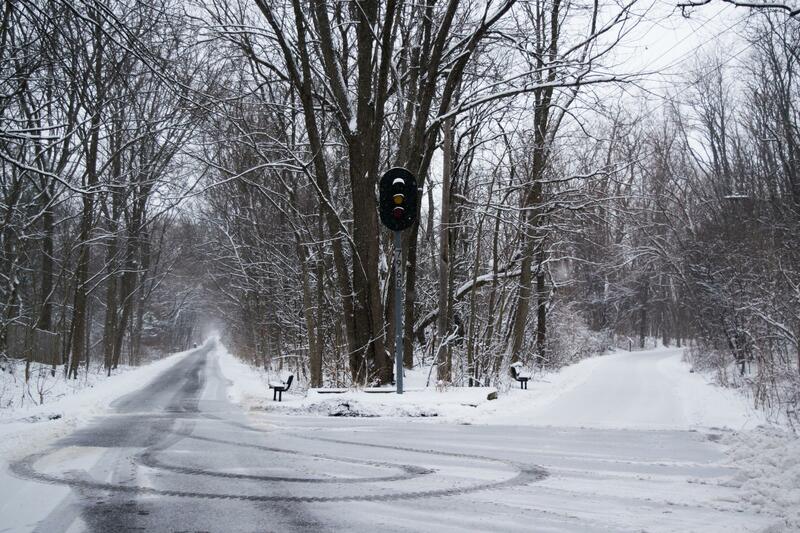 Subzero temperatures with windchill values nearing -50 hit the Midwest this week. 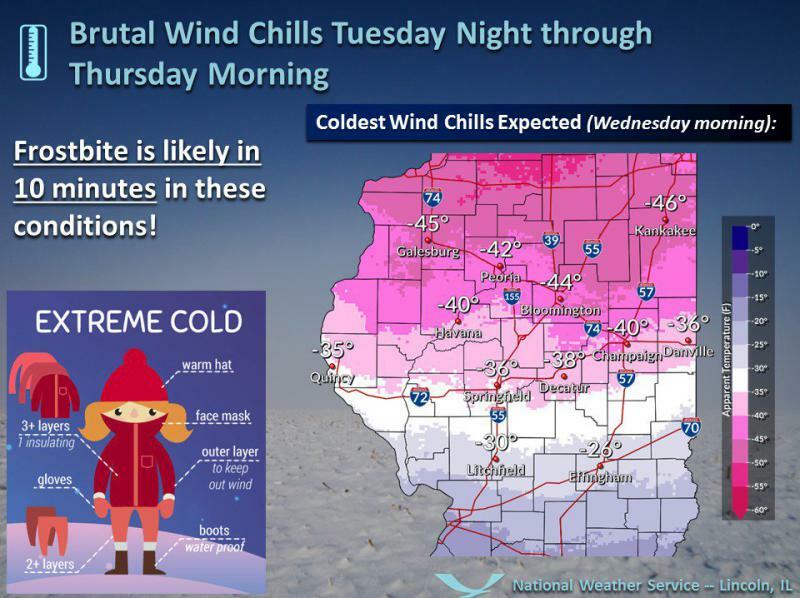 Bundle up before going outside in the Midwest’s subzero temperatures this week. When your fingers stop tingling and the redness subsides, your frostbite is actually getting worse. That’s according to OSF St. Joseph’s Emergency Department Medical Director Dr. Neal Rushforth. “In temperatures this deeply cold even a few minutes of exposed skin out in the elements could develop frostbite,” Rushforth said. He said it is “completely preventable” by limiting time outside and not leaving any skin exposed. Typical spots to develop frostbite are on the hands, feet, cheeks, nose, ears, and the extremities. When the affected area starts to turn white and numb, he said that is a sign of worsening conditions. There’s not a lot of treatment options other than seeking warm shelter, he said. Similar to a burn, assessing the damage takes time. Worst-case scenario: Some frostbite cases require surgical treatment. In the meantime Rushforth said medicines like ibuprofen can be used to treat pain and increase blood flow to the area. 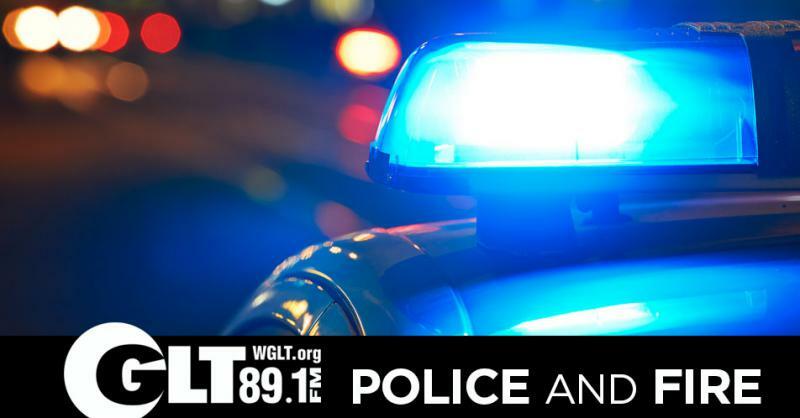 An 82-year-old Marquette Heights man died Tuesday due to cold exposure. Illinois Gov. 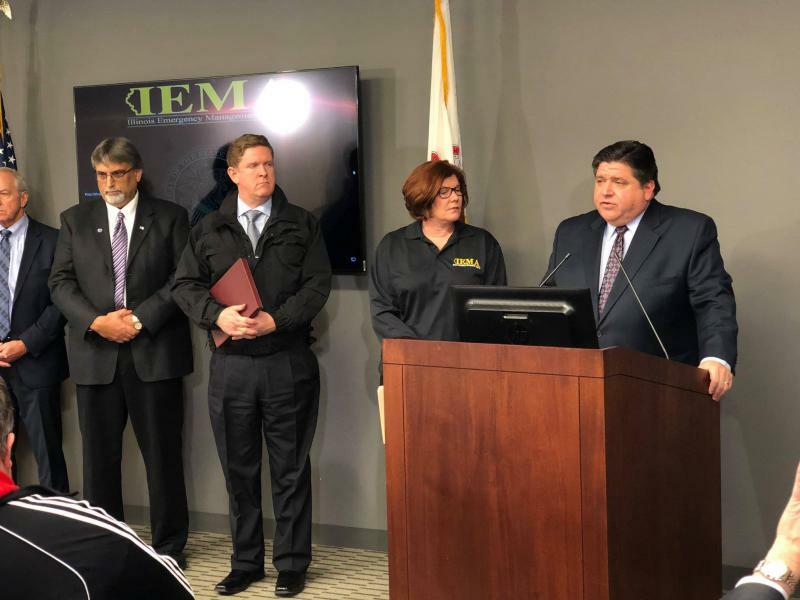 J.B. Pritzker has joined the list of Midwestern governors issuing disaster proclamations as frigidly cold weather starts hitting the region . Pritzker released a statement Tuesday noting that plummeting temperatures are expected to hit Illinois on Tuesday and stay through Thursday morning. The Democrat calls the weather "potentially historic." 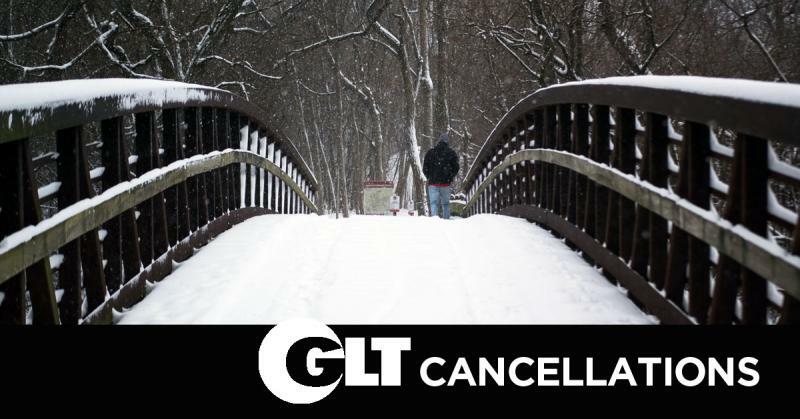 Forecasters say the temperature in northern Illinois could dip to negative 27 degrees (negative 33 Celsius) with wind-chill values as low as negative 55 degrees (negative 48 Celsius).